I honestly never thought I would fall for embroidered details in fashion. Well, I did and I now this is one of the hottest trends this upcoming spring and summer. The fun part is that you can be how creative you want with the embroidery. Go wild and put on a jacket or pants covered with embroidery or tone it down a bit with a simple look and wear either an embroidered purse/bag or shoes with it. Personally, I love the combination of denim and embroidery. Put on a pair of baggy jeans with embroidery details added to it with a cute simple t-shirt. If it’s chilly outside matching with a semi oversized blazer would look great. Rock that outfit together with simple sneakers or slip-ons. Also, I really have to point out the sleeves on the Miss Selfridge blazer. Cute, fun details that are very in right now. Perfect outfit for going shopping, a simple celebration or school when you don’t to feel to overdressed for the occasion. 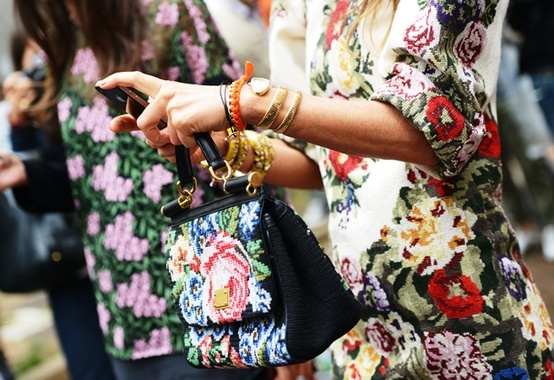 Another way of using embroidery in your look is to add it to and accessory of yours, like a bag. Below I went for a fun, evening chic style. With the amazing embroidered mini denim bag, I put together some light washed, ripped jeans from the super popular Swedish brand NA-KD. Combine with a oversized sweater, t-shirt or this gorgeous crème blazer kimono. Work this fabulous outfit with comfortable pumps and some big sunglasses, and you will look stunning to the next lunch in the city. Don’t forget that you can mix and match and go for whatever direction the occasion is suitable for. Just have fun with it. People passing you by will be instantly alerted of the jaw dropping gorgeousness walking past them!